Acupuncture is a system of providing healing and relief from pain. Acupuncture has been in use for at least 2,500 years. At Chiro-Med Health & Wellness Centers in Crestwood, we're proud to offer this ancient technique to our patients. From back pain to menstrual cramps and a plethora of problems in between, acupuncture can help you heal. This ancient method of treating patients is based on the idea that patterns of energy (called "qi") flow through the body. When qi becomes imbalanced, painful conditions can occur. Acupuncture is a method of restoring the qi to its proper balance in the body. By inserting needles into the skin at specific places (called "pressure points"), acupuncture helps redirect energy for the purposes of healing and relieving pain. 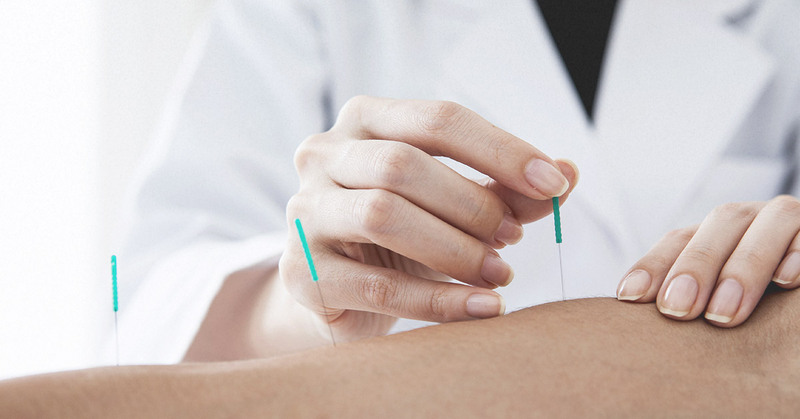 Acupuncture needles are very thin and generally not painful for the patient. In fact, some people find acupuncture treatment to be relaxing and energizing. The needles are non-toxic, sterile and disposable. Use of the needles is regulated by the FDA and as a result, acupuncture is regarded as very safe. In addition to the above diseases and painful conditions, acupuncture is also used to treat addictions and can be used as an immunity enhancement and can supplement treatments for cancer and other serious diseases. The list of conditions that acupuncture can treat is so long that patients who don't see what they're looking for in the above list should speak with their practitioner to ask about any specific conditions they wish to have treated. We offer acupuncture because it can be used in conjunction with chiropractic treatments to help relax and energize patients and provide relief for their pain. Acupuncture is a natural method to help patients suffering from illnesses, chronic conditions and injuries. It involves no addictive medications and no painful surgeries to provide healing. Combined with therapeutic massage, chiropractic adjustments, nutritional changes and lifestyle changes, patients who undergo acupuncture can see a complete turnaround in their quality of life. We recommend getting these services all in one location to ensure that your treatments line up and work together. This will help speed your healing process and optimize your services. To find out more about how acupuncture can help you and to find out how acupuncture can be used in combination with chiropractic care, call Chiro-Med Health & Wellness Centers today and set up your first appointment. Meet with our talented practitioners and chiropractors and find out what treatment plan is right for you. We look forward to helping you! If you are in need of acupuncture, call us at (708) 385-4416 and schedule an appointment today.